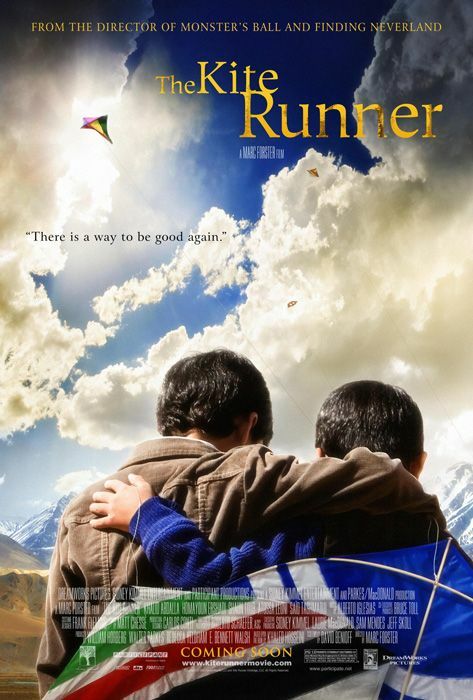 The Kite Runner is the story of Amir Qadiri (Khalid Abdalla) hounded by his past. He lives with his wife Soraya (Atossa Leoni) in California. He receives a call from an old friend of his father’s, Rahim Khan (Shaun Toub) staying in Pakistan. And what happens that day, during that conversation changes the course of a whole lifetime! After this small glimpse of the present, we embark on a journey to the Afghanistan of 1978. A place with open skies and blooming freedom. Far away from screams and gunfire. Where kites soar in broad daylight without any fear. Over here a young Amir (played by Zekeria Ebrahimi) and his servant’s son and his best friend Hassan (Ahmad Khan Mahmidzada) is enjoying his life full of his short stories, books, movies and kites. Every year a prestigious kite tournament takes place in Kabul. Amir and Hassan take part in the tournament as a team. Amir wishes to impress his father (Homayoun Ershadi) who was a champion in his own youth, by winning it. And they do! Amir celebrates while Hassan runs down the kite for him. Amir comes down looking for Hassan and finds out that Hassan is surrounded by Assef who is a bully and his friends in an alley. They try to bargain with Hassan to obtain the kite but Hassan denies. Assef then rapes Hassan to “teach him a lesson”. A petrified Amir watches this as it happens but chooses to hide rather than help his friend. Driven by guilt Amir finally succeeds to make Hassan and his father Ali leave their house. And in a few days Amir and his father leave the country as the Soviet Union militarily intervenes. Both of them come to America and struggle to survive over there. All this while Amir takes it as his fault that Hassan is left behind in the terror that encompasses Afghanistan. In the present, Amir comes to Pakistan to meet his father’s friend upon receiving his call. Where he realises that Hassan and his wife were killed by the Taliban. Hassan is survived by his son Sohrab who is still amidst the unstable Afghanistan. Amir takes it as his responsibility to find the boy and take him away to America. The film crosses the obstacle of complex flashbacks and flash forwards. And it carries off the non linear structure with an ease. It demonstrates the power of this simple formula of a narrative: prosperity – tragedy – loss – redemption. The film doesn’t enjoy a well defined three-act-structure. There are smaller acts and each given the right weight. That is why whether it is Amir’s marriage or his father’s death; each important incident swiftly touches your heart. The film is adapted from the bestseller by Khaled Hosseini of the same name. One of the most important part of adapting any story from one format to the other, especially when adapting for screen; it is important to edit. In this scenario the edit process begins first and then you write and rewrite until you have something that is true to its original self and new at the same time. As I read the book just before I watched the film, I knew the portions which made me deviate just a little from the story and David Benioff as the screenplay writer of the film has done a fabulous job in “editing”. The film succeeds with its honest storytelling. There are no big stars in the film. Nothing to attract today’s audience, nothing to make them stick to their seats for two hours except a pure story. The actors with an actual Afghan background were enjoyable and absolutely convincing on screen. In fact they added a tinge of Afghanistan even in the scenes based in America. On the contrary in India we have a North Indian Actress playing a legendary boxer Mary Kom with no resemblance what-so-ever just on the basis of her popularity. It is surprising that the film did not receive the recognition it deserved. Although praised by many experts from the industry, the film could only get a few nominations at the Golden Globe Awards and The Academy Awards. Regardless of how that happened, for me it is one of the stories that linger in your mind long after you are finished reading/ watching them. The story enlightens us about the horrific situation in Afghanistan and it carries a simple message within simultaneously. And as I based my short film which is to be screened at the 16th Mumbai Film Festival on a boy of a similar age, the film was a great teacher!